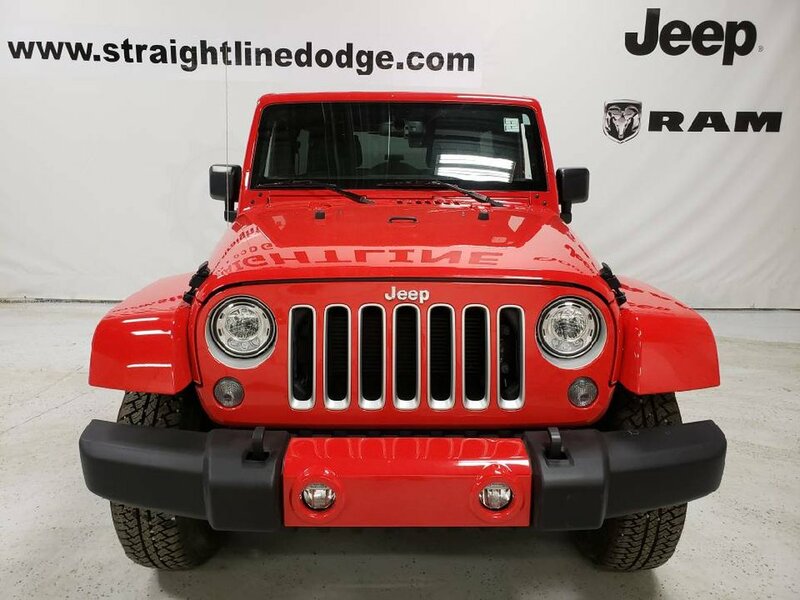 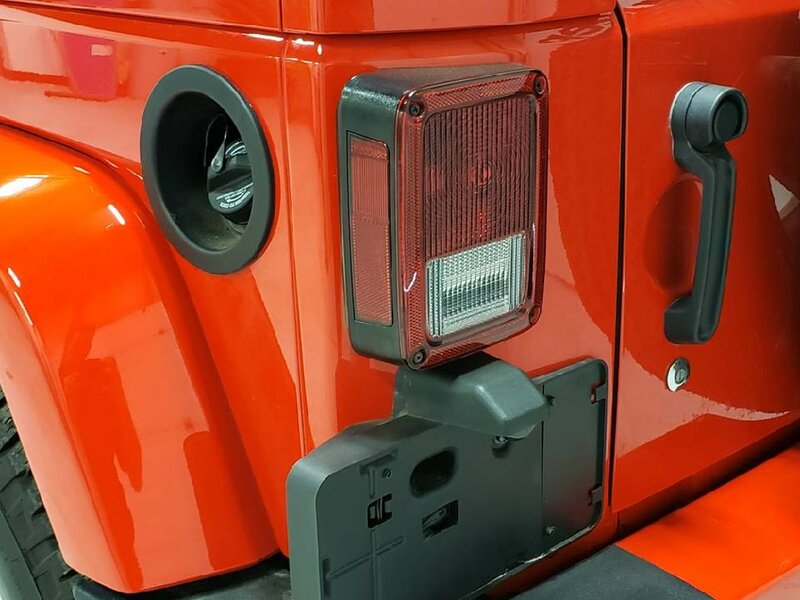 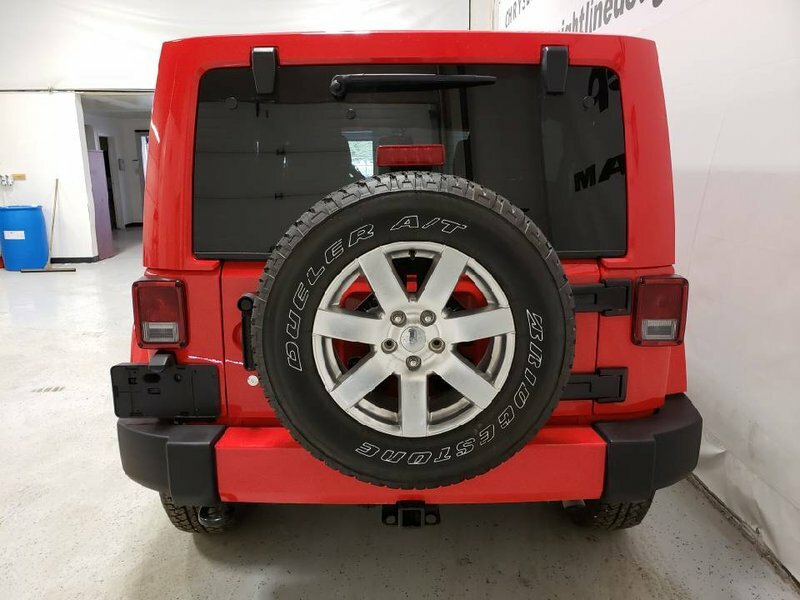 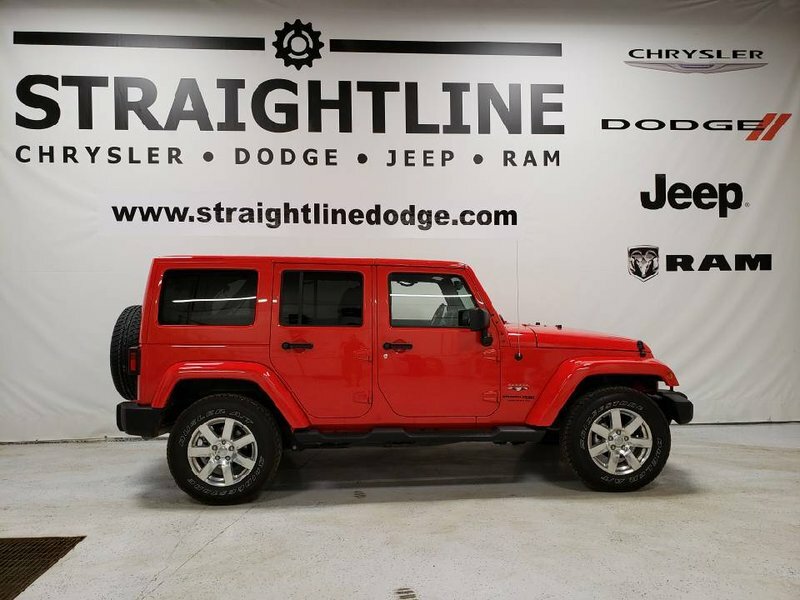 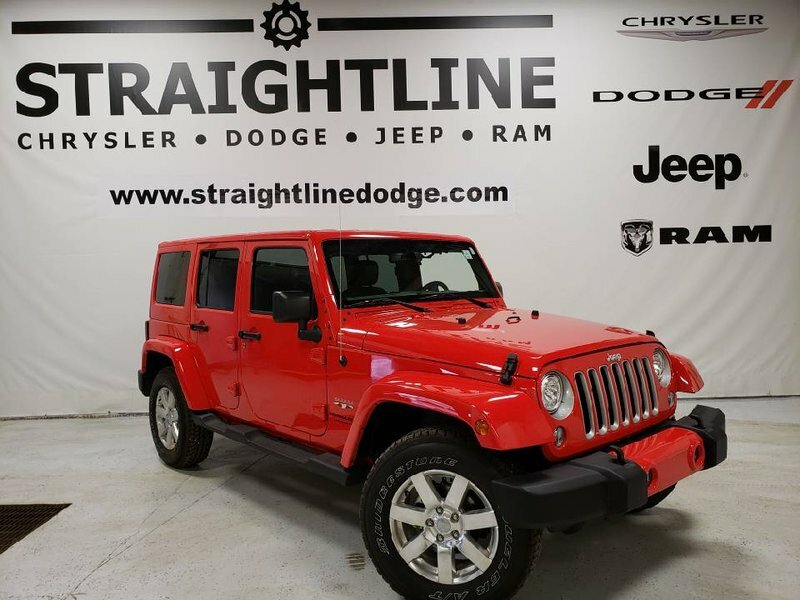 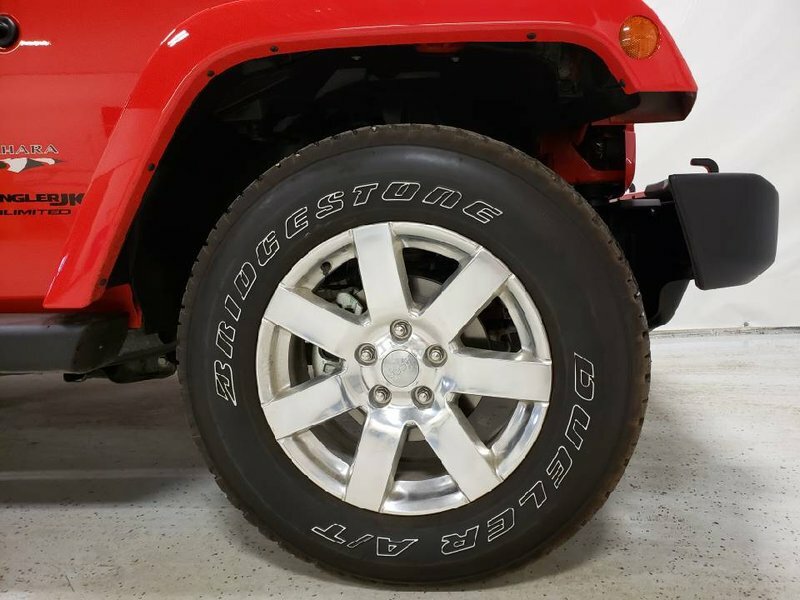 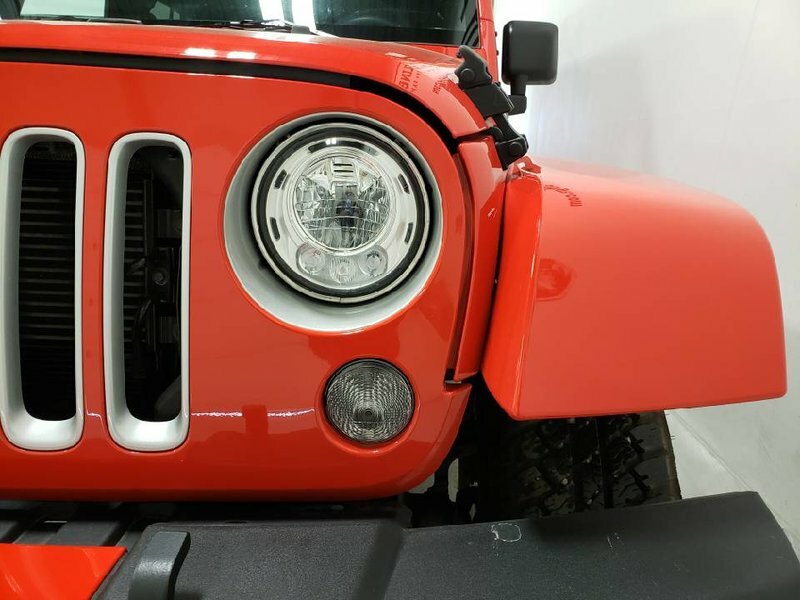 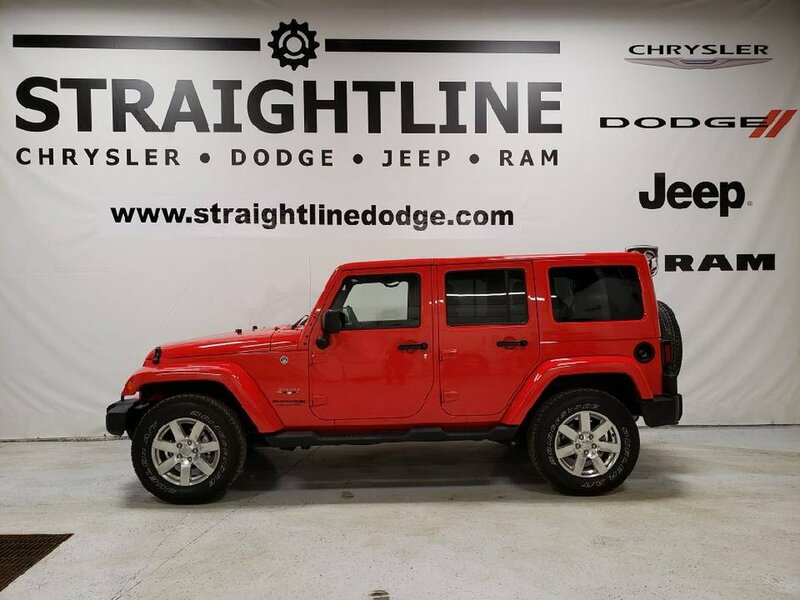 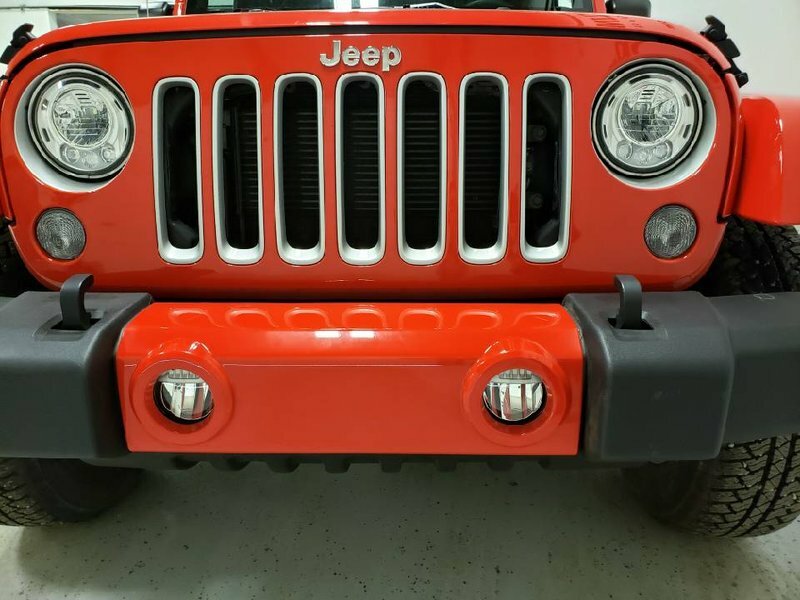 Bold and ready for fun, our Accident-Free 2018 Jeep Wrangler JK Unlimited Sahara Four-Door 4X4 SUV is proudly displayed in Firecracker Red! 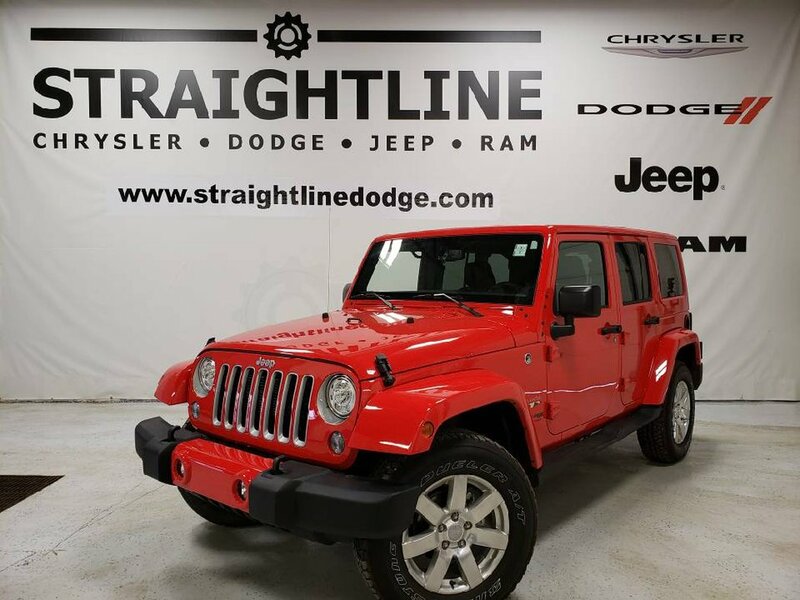 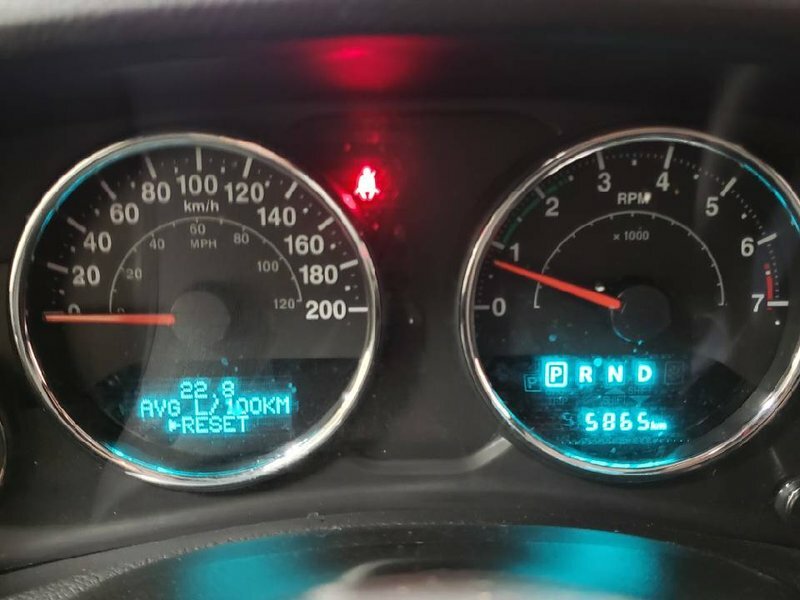 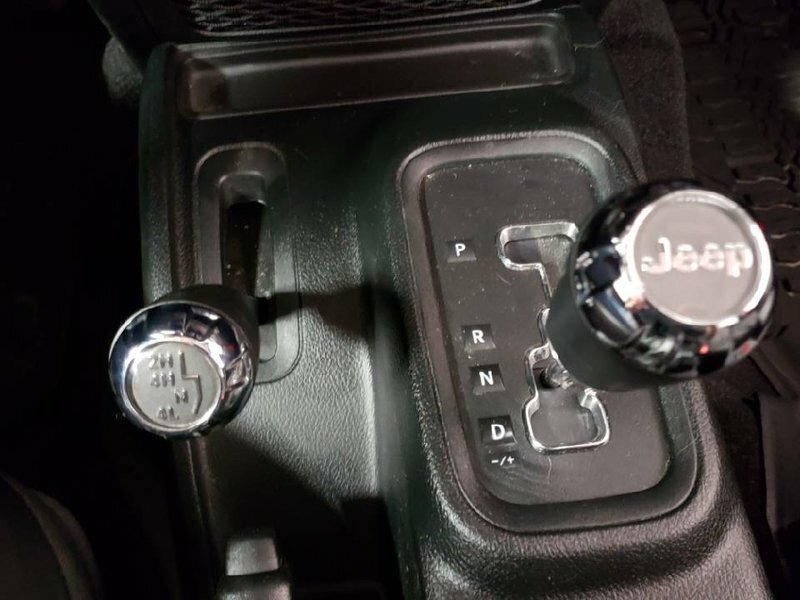 Powered by an impressive 3.6 Litre V6 that offers 285hp while paired with a durable 5 Speed Automatic transmission that puts the power in the palm of your hands. 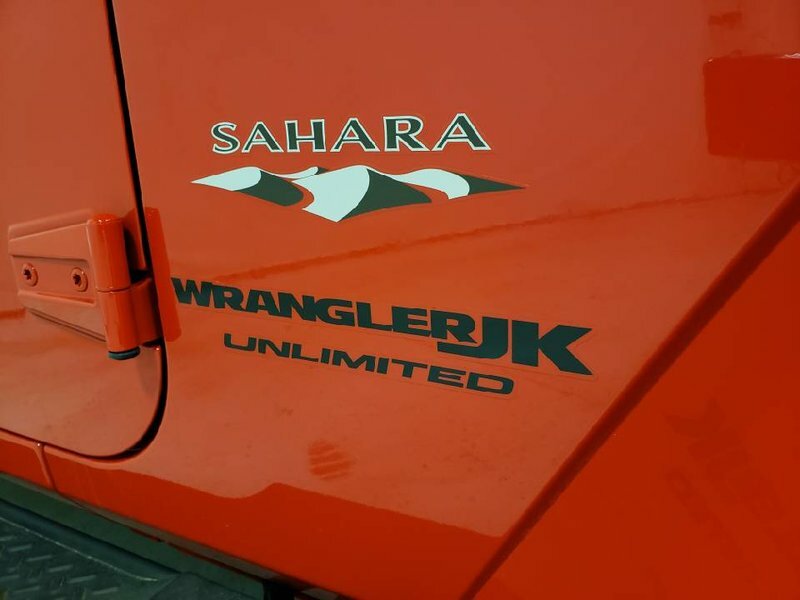 This award-winning Four Wheel Drive combination will impress you as it attains near 10.2L/100km on the highway and offers legendary traction, ground clearance, and maneuverability that makes your most adventurous dreams come true! 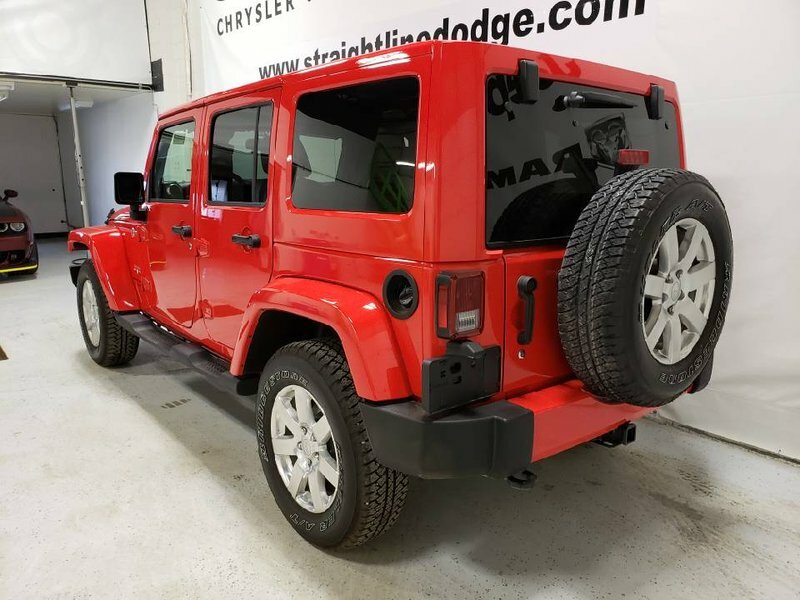 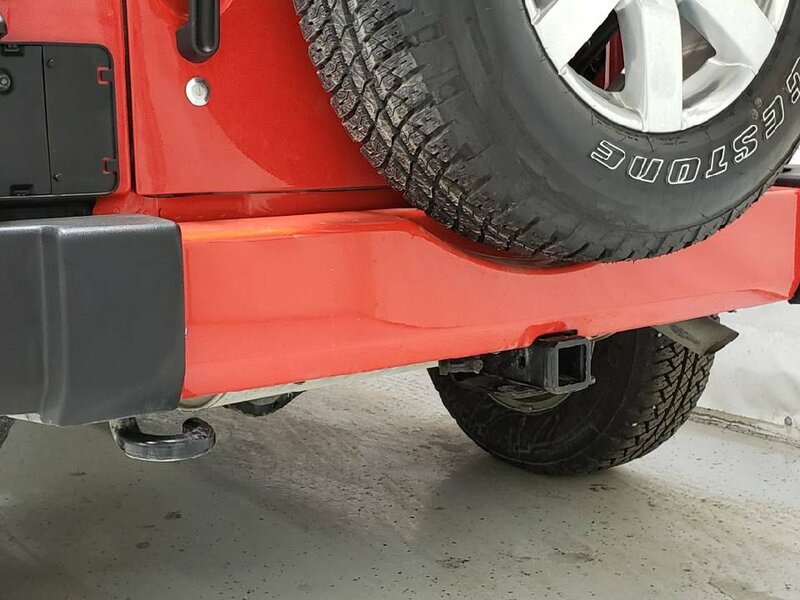 Our Sahara elevates your style and boasts rugged good looks with LED headlights/fog lights, side steps, painted wheel flares, and 18-inch polished alloy wheels. 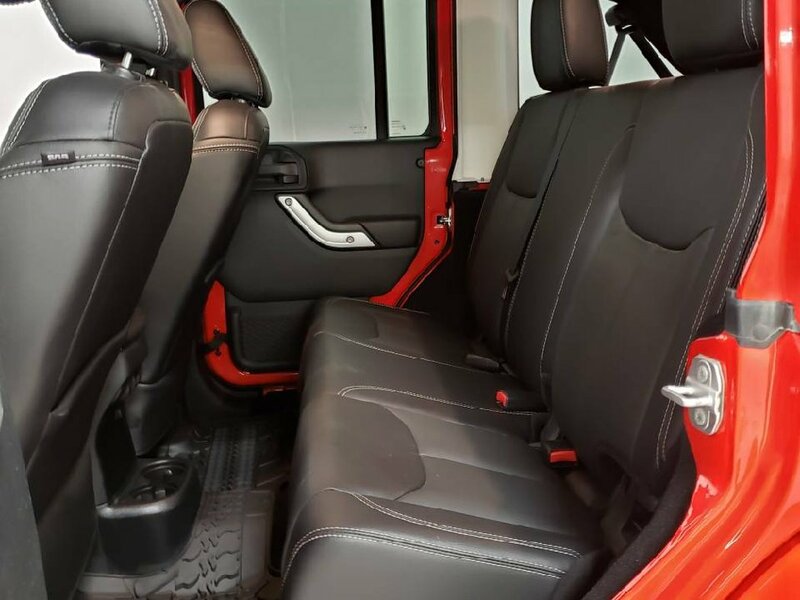 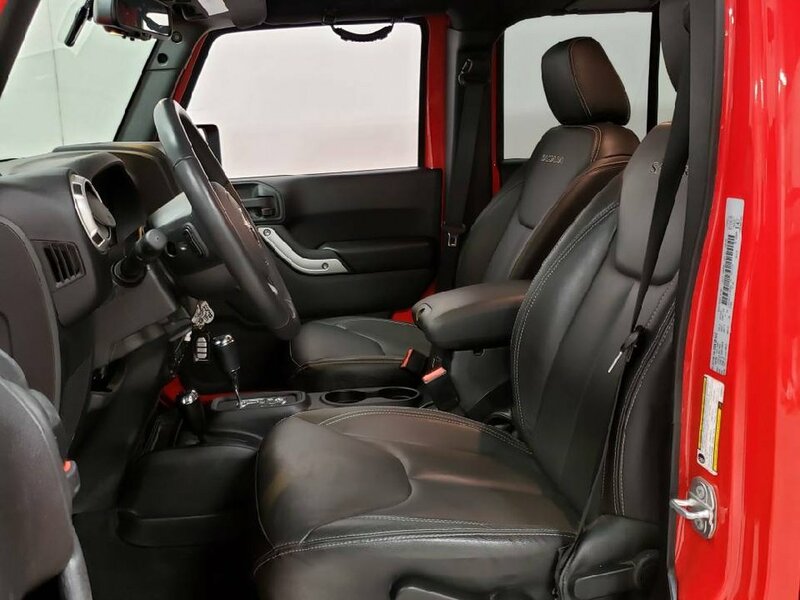 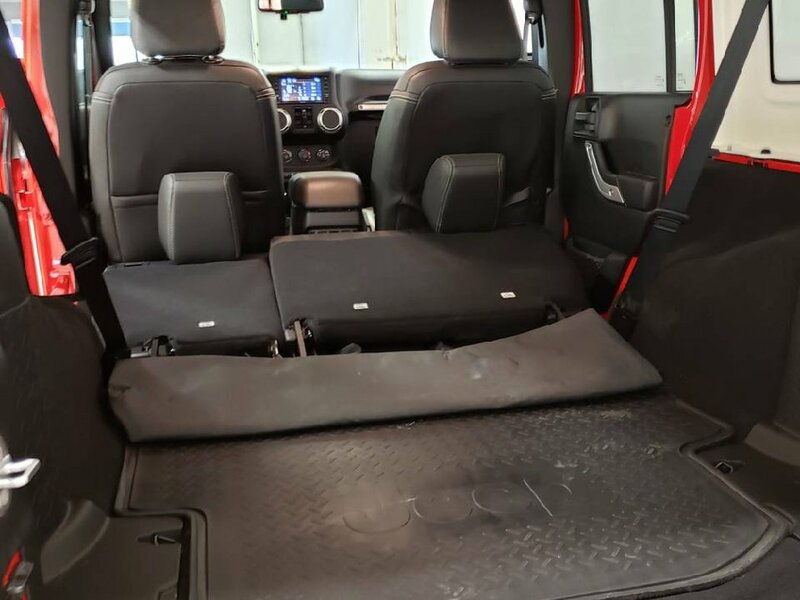 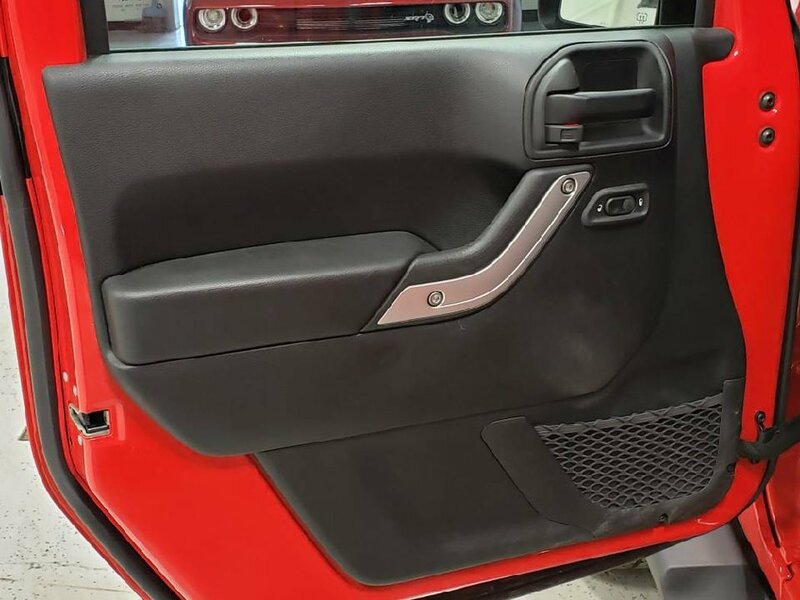 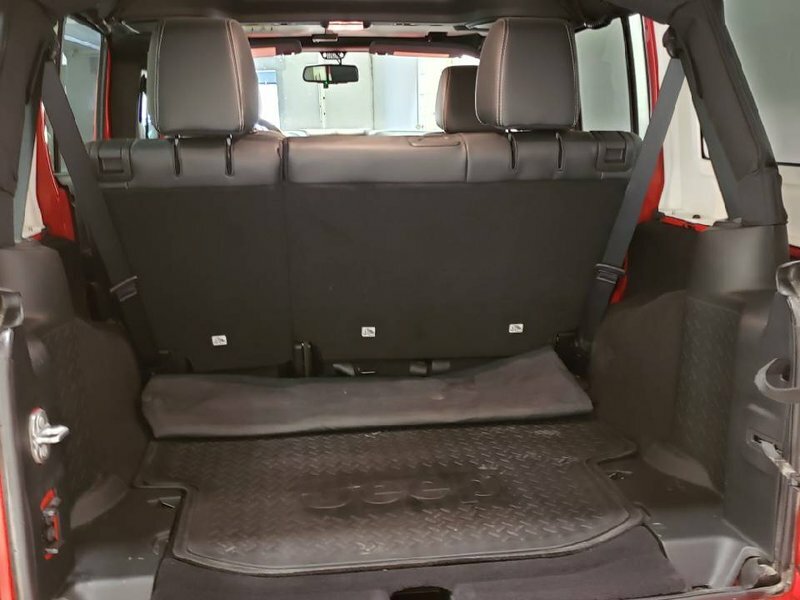 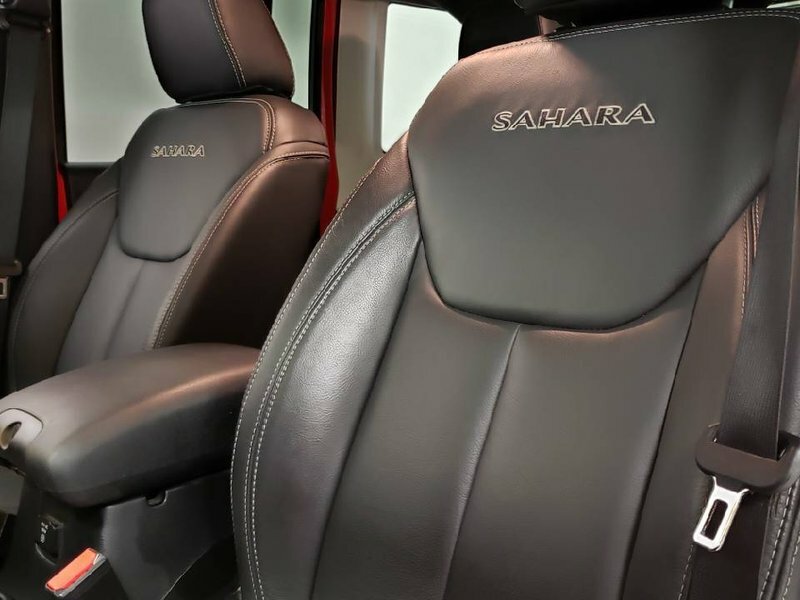 Climb up into our Sahara that offers embroidered supportive heated front seats and enjoy the amenities designed to maximize your experience while driving such as power windows/locks, keyless entry, an auto-dimming rearview mirror. 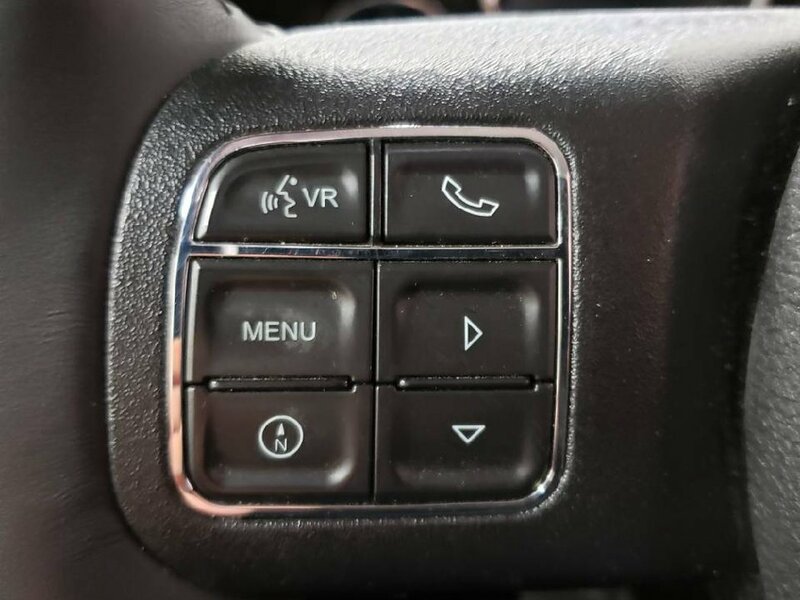 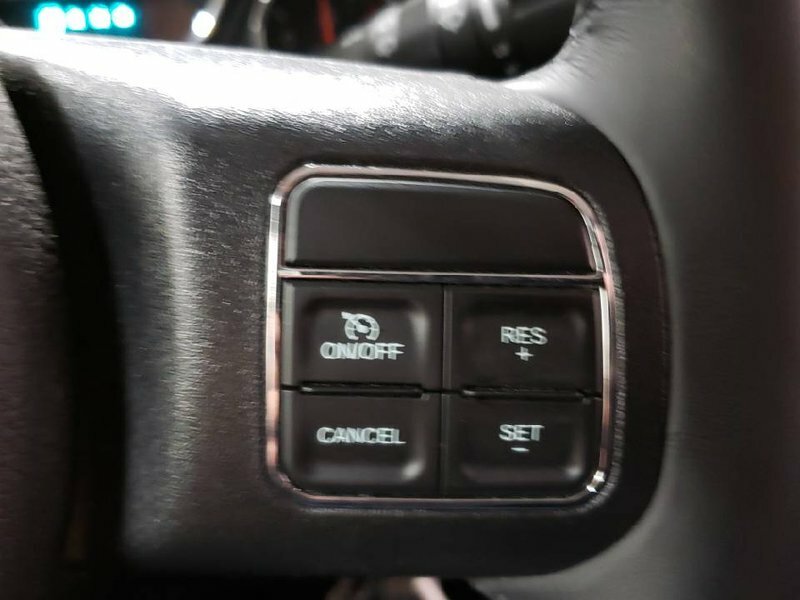 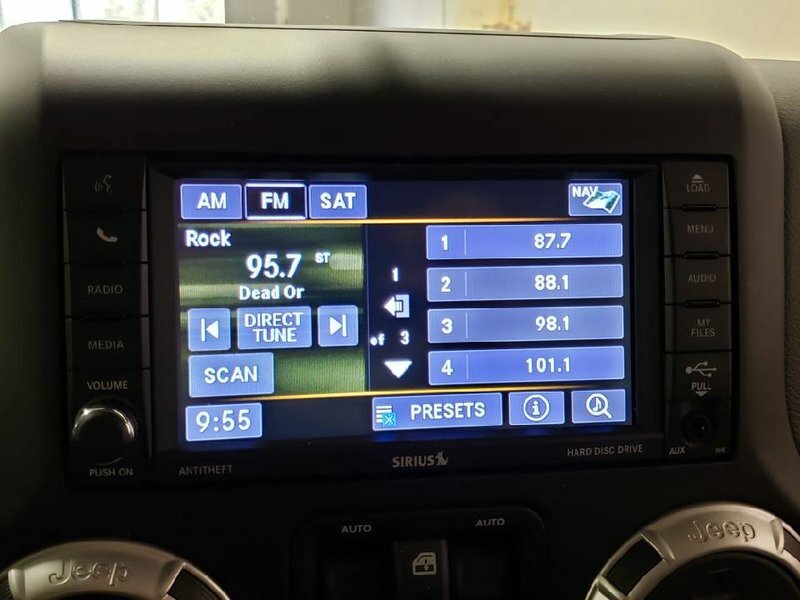 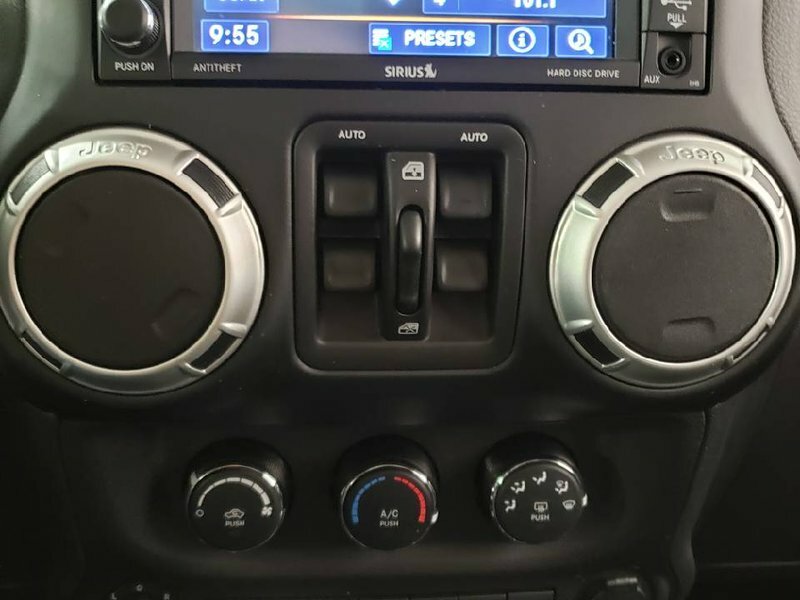 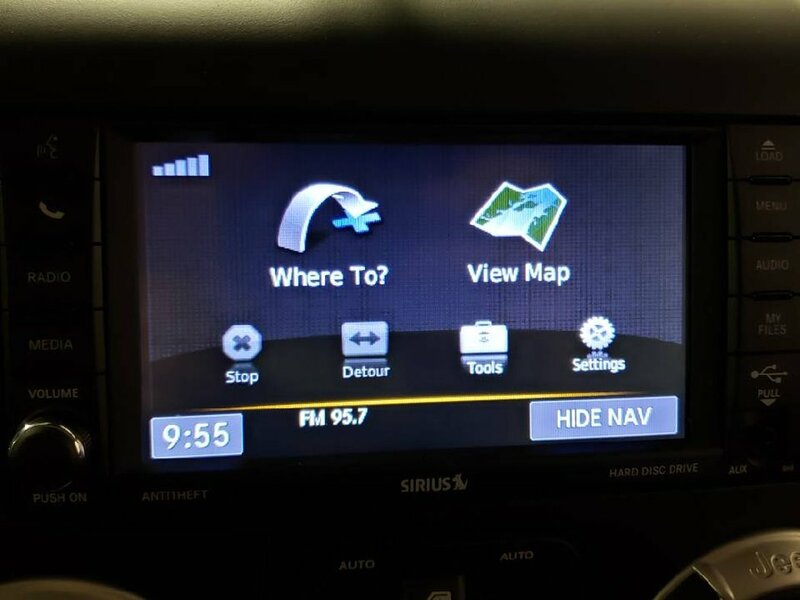 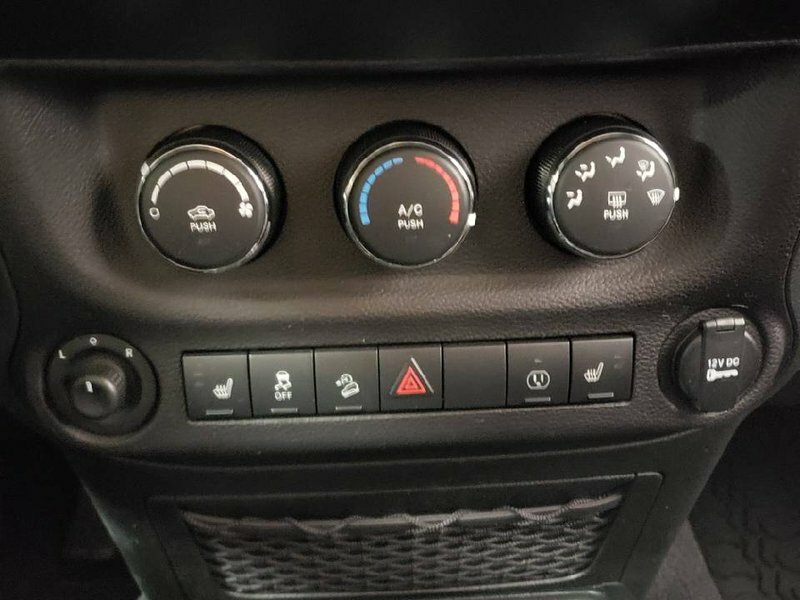 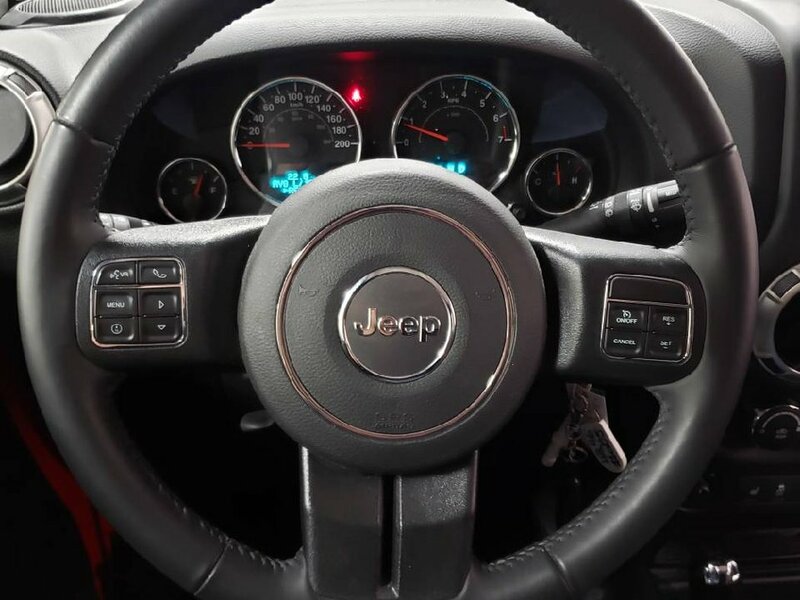 Add in our leather-wrapped steering wheel, air conditioning, available satellite radio for all of your audio needs, and Uconnect voice command with Bluetooth to keep you connected on the go!